October 17, 2016 – Communications, public relations and marketing professionals from across central and eastern North Carolina converged at NC State University’s McKimmon Center for the North Carolina Public Relations Society of America (NCPRSA) Annual InSpire Seminar & Awards. For the first time, the NCPRSA combined their Annual Seminar and InSpire Awards Banquet into one event. The theme bringing public relations professionals together was “Know Thine Audience,” to learn from industry leaders including Tania Garcia Richardson, Senior Manager, Global Talent Acquisition at Red Hat, Karen Albritton, CEO/President of Capstrat, Richard D. French, Chairman & Chief Executive Officer of French/West/Vaughan, Pam Saulsby, veteran broadcaster and multi-Emmy award-winning news journalist, and Jason deBruyn, Data Reporter with WUNC and formerly with the Triangle Business Journal. 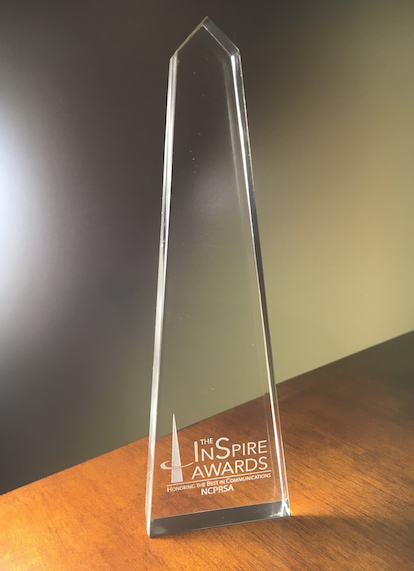 The InSpire Awards recognized the best public relations, communications and marketing programs in 2015 submitted by organizations and individuals throughout central and eastern North Carolina by honoring their work with a 2016 Silver or Bronze InSpire Award. NCPRSA’s 2016 Annual InSpire Seminar & Awards premier sponsors NC State Department of Communication and Brand Fuel, as well as silver sponsor Transitions LifeCare were recognized for their support of the public relations profession. 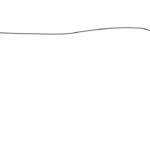 The NCPRSA InSpire Awards was modeled after the national PRSA’s Bronze and Silver Anvil Awards. InSpire Awards nominations are open to all public relations, communications and marketing agencies, teams, and solo practitioners. Silver InSpire Awards recognize entire programs or campaigns demonstrating the highest standards of performance in the profession by incorporating sound research, planning, execution and evaluation. Bronze InSpire Awards honor specific tactics and components of programs or campaigns. Both the Silver and Bronze InSpire Awards winners must demonstrate exemplary professional skill, creativity and resourcefulness. North Carolina Chapter of the Public Relations Society of America, Inc., (NCPRSA) represents public relations professionals and organizations throughout central and eastern North Carolina. Affiliated with Public Relations Society of America (PRSA), the world’s largest professional public relations association, the NCPRSA serves to advance the practice, advocacy, ethics, education and the profession of public relations. For more information on the NCPRSA visit www.ncprsa.org or connect on Facebook at or Twitter at @NCPRSA.